This month’s news shows how to save power when several Ethernet ports are needed, more evidence of the latest 1 W and below processors, and that working together brings greener ideas to the tablet. Ethernet switches can consume a lot of energy just by virtue of having a lot of ports with a lot of stuff going on, so it’s a point of strong possible savings for designers. Vitesse Semiconductor recently introduced the VSC7427 26-port GbE switch with some interesting features to reduce energy consumption. First is the integration: A single part, the VSC7427 has 26 ports with 12 integrated copper PHYs, and along with a 12-port PHY VSC8512 or VSC8522 device, the complete 26-port solution (24 switched ports and two dedicated back-channel ports, probably) includes two chips and a couple of SFPs. Second is integrated traffic management with a 416 MHz MIPS CPU onboard. Third is a feature called PerfectReach, which Vitesse says can tune PHY power to the length of the Ethernet cable on the port. Fourth is ActiPHY, which provides power savings in link-down or standby modes, even including things like LED drive power. Texas Instruments shouldn’t be overlooked in this 1 W CPU game, and with good reason – the new Sitara AM37x brings 40 percent more processing power with a 30 percent decrease in power consumption compared to previous similar TI generations, clicking in at 890 mW active for the 1 GHz version. With an ARM Cortex-A8 core at 300, 600, or 800 MHz or 1 GHz, this SoC family integrates PowerVR SGX 3D graphics plus LCD, USB, and MMC interfaces. TI does its own Linux package and also supports Android and Qt, among other environments. Three package choices ranging from 12 mm x 12 mm to 16 mm x 16 mm with varyingly aggressive pitch give designers options. Pricing for the 1 GHz AM3715 is $26 in 1K quantities. I recently picked the Intel previously known as “Moorestown” Atom Z6xx processor platform, and one of that platform’s features is an open Power Management IC (PMIC). 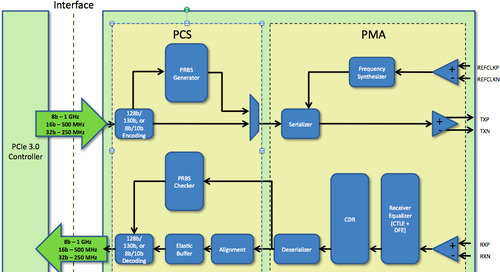 An unusual suspect, Freescale Semiconductor, has stepped in with a PMIC device to fill the need. In two chips, this PMIC provides DC/DC and LDO regulated power and battery management, including intelligent charge capability in one of the devices. The second part provides advanced audio, touch-screen control, and LED backlighting. These power management capabilities are critical to target devices like tablets, and Freescale’s mixed-signal capability blends with the Atom Z6xx platform to provide a complete solution.